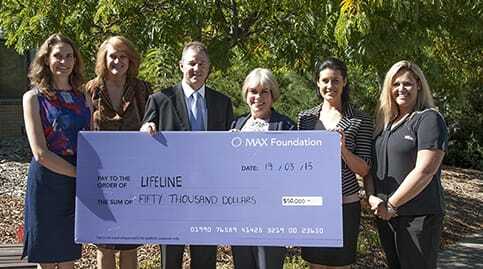 MAX Foundation | MAX Solutions. At MAX Solutions, we hold a strong sense of community and social responsibility. We recognise the importance of giving back to the communities in which we live and work. The MAX Foundation supports organisations and programs that promote personal growth and self-sufficiency through improved health and community development. We provide financial support for non-profit organisations and charities that share our commitment in helping people and communities in need. MAX Foundation is funded by charitable gifts from the employees of MAX Solutions and is supplemented by grants from the Company. It is a non-profit charitable organisation. Know an organisation we should donate to?